A caring, faithful relationship with a family member or a friend is a sacrosanct space where you can shed your guard, reveal your secrets, and disclose your worries. Such relationships are life’s principal social support systems. Your ability to form close relationships with others hinges on the trust you feel with your nearest and dearest. Sharing your secrets with others and keeping others’ secrets are essential to establishing and nurturing bonds between people. Secrets are kept or revealed for a variety of complex reasons—utter carelessness, actual malice, self-serving manipulation, or altruistic protection of others. Forgetfulness and negligence often initiate letting a secret slip; some people may not understand the potential consequences of not keeping somebody’s secret to themselves. As the World War II idiom cautions, loose lips sink ships. Some blabbermouths just can’t be the soul of discretion—they have no filters and don’t concern themselves with betraying others’ trust. Some folks justify spreading others’ secrets by convincing themselves that the secret is common knowledge—if a source shared a secret with them, the source may have shared it with others too. Some nefarious people use secrets they’re supposed to keep as currency to curry favor with someone else. An egregious recent example is that of McKinsey’s Managing Director Rajat Gupta revealing confidential information about Goldman Sachs, on whose board of directors he sat, to hedge fund manager Raj Rajaratnam. Some people may assume an altruistic—or self-righteous—mind-set and reveal a secret assuming that divulging the secret could be more beneficial to those concerned than keeping the secret. Some people reveal secrets because they can’t bear the mental distress of keeping the secret. Often, the bigger the secret, the harder it is to keep it. If you’ve been told a secret or have some information in hand that may put somebody in immediate emotional or physical risk, be careful in how you act. Telling secrets in the wrong way, to the wrong people, or at the wrong time can be surprisingly destructive. If required, seek help from a relationship counselor. If a friend shared something about you that you told them in private, try to forgive his/her lack of discretion. Hold back your trust until you can feel comfortable trusting them again. There was once a time when people went to work, clocked in, put in their hours, clocked out, and forgot all about work until the next day. They fully disconnected from work and took real vacations. They maintained a healthy separation between their work time and their personal time. Alas, those good times are long gone. Today’s challenging and competitive workplace demands of people not only their stamina to work exceptionally hard but also their hearts-and-minds’ commitment to bring creativity and insight to their efforts. The pressure to constantly prove themselves is also exacerbated by how modern society judges people by their professional and financial successes—what they do, what they’ve accomplished, and how quickly they’ve accomplished it. People are expected to be 100% on, take work home, and check in during their vacations. The upshot is that many people have real trouble turning work off. Work-related thoughts encroach upon their off-work hours. Some even lose sleep or wake up in the middle of the night thinking about their work. Get a Life. Have a life to go to after you leave work. Develop a rich social life. Invest more time in your relationships. Get involved in absorbing activities, events, and hobbies. Schedule fun activities—you’ll have something to look forward to at the end of your workday. Organize your workday. Structure your schedule to prevent hustling through work towards the end of the day. Be realistic about what you want to accomplish. In the middle of the afternoon, review the tasks ahead. Prioritize, reorganize, and pace yourself to wind down your workday. Do not answer phone calls or email during the last hour. Organize and prioritize your next day’s schedule before you leave your office. Clean off your desk at the end of each day. This not only brings about a feeling of order and completion, but also helps you tune down and free up your mind. Create a buffer between work and home. Stop by a gym, go shopping, or visit a friend. After you get home, change clothes, go for a walk, or do something relaxing to mark the transition and create a relaxed mindset for the evening. Vent if necessary. Ask your loved ones to give you a few minutes to “let it out.” Expect them to just listen and be non-judgmental. Don’t bring work home. Leave your briefcase, laptop, reports, and work-related reading at your desk. Disconnect. Modern technology makes it easier for you to stay connected, but also makes it more difficult than ever to leave work at work. Leave your laptop at work. Turn off email and instant messaging on your phone. Resist the temptation to check your email on the family computer. Don’t visit the business center at the hotel when you’re on vacation. Delegate and cross-train your staff to handle some of your responsibilities while you’re away. Stop checking in with the office, especially when you’re on vacation. Your team will get along fine without you around. Crises will get managed, production will continue, customers will continue to be satisfied, and you’ll still have your job when you return. Let your team know how to find you in a dire emergency, but ask them not to bother you with the inconsequential stuff. Idea for Impact: Don’t let work take over your life. Establish boundaries. Don’t let your work run you. Don’t take work home literally (in your bag/briefcase or on your laptop) or figuratively (in your head). Enjoy your downtime. Learn to disconnect from work unreservedly and spend time with your family. Play with the kids. Quality time with your loved ones is often more rewarding than your time at work. And perhaps by doing less work, you may end up loving your job more. 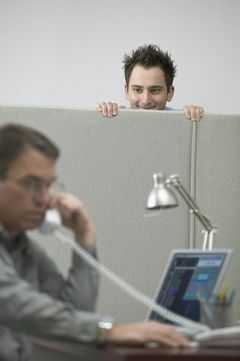 If you work in an open cubicle farm, you already know that a lack of privacy and frequent interruptions can cause cubicle dwellers to get on each others’ nerves. Here are some ground rules and etiquette tips to follow. If you like to listen to music or the radio, keep the volume low or use headphones. Your neighbors may not work best with background music (or noise) and may not share your music preferences. Don’t speak loudly. Avoid long, loud conversations—sometimes unrelated to work—with colleagues or on the phone. Step out of your cubicle into the hallway or an empty conference room. Don’t pursue conversations on sensitive topics—it is impossible to know who else is listening. Avoid popping into others’ cubicles and parking yourself at an open seat. Don’t interpret an “open door” policy for a “no door” choice. Cubicles have made it easy to walk by someone, interrupt them, and start chatting. Don’t interrupt them if they seem busy. Prior to starting a conversation, take a second to ask them if now is a good time to talk. Remember that in the modern workplace, distractions kill productivity more than anything else. Speak to people from the front. 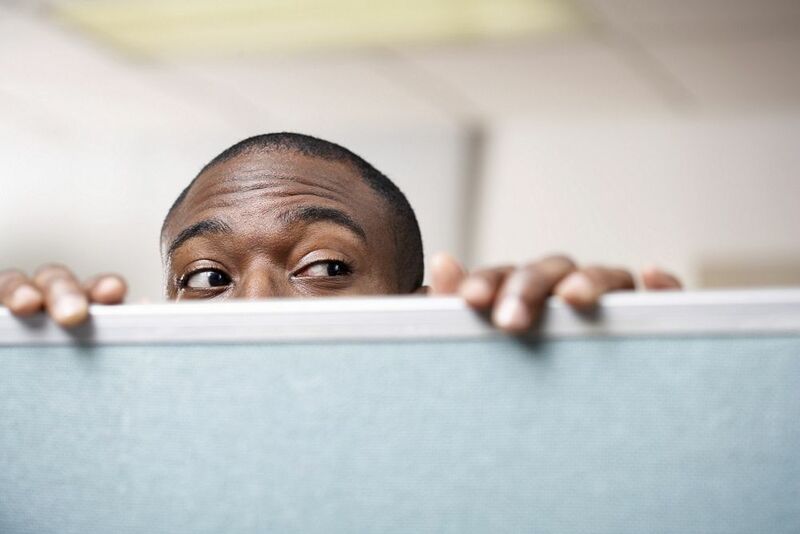 If someone’s sitting with their back to the entrance of their cubicle, don’t startle them. Instead, knock on the wall of their cubicle or take a moment to walk around to their front before talking to them. Don’t look at others’ computer screens as you walk by their cubicles. Keep your glances out of other people’s space. Don’t expect others to keep track of their neighbors. If you intend to seek out Anna but can’t find her at her cubicle, don’t expect James to know where Anna is because he’s right next door to her. And, James may not want to have a chat with you while you wait for Anna. Don’t bother James. Leave a note for Anna and move on. Don’t linger around someone’s cubicle if they are chatting with another person or on a phone call. Revisit at another time. Don’t yell across cubicles. Walk over to the other’s location. Never borrow items from other people in the office without letting them know. If they are away, leave a note on their table saying that you took the item and will return it as soon as possible. Pay attention to personal hygiene and cubicle cleanliness. Don’t eat a smelly lunch. Don’t overuse perfumes. Don’t take off your shoes. Personalize your workspace (it’s a sign of nesting) with framed pictures, area rugs, memorabilia, fresh flowers, a candy jar, and the like. Be discerning; don’t flaunt anything distracting, political, religious, unprofessional, or offensive. Party Etiquette: Can you take your leftovers home? One of managers’ most common complaints relates to their failure to persuade their employees to change. Having high expectations of employees can lead to bitter disappointment. The frustration that comes from employees not wanting to change causes many managers to focus on their employees’ negative qualities. Such an attitude makes it easy to find errors in employee behavior, leading to more disappointment—even resentment. Even when an employee wants to change, he often fails to because he is pulled in two directions: by a motivation to change and by a motivation to maintain the status quo. Since change is seldom as easy as we think it will be, the motivation to maintain the status quo often triumphs. The real reason employees (and people in general) don’t change is that underneath each employee’s commitment to change, he has an underlying, even stronger commitment to something else, as identified his intrinsic motivation. For instance, an employee who expresses a desire to earn a promotion may avoid tougher assignments on his current job because he may be anxious about not measuring up. This employee may not even be fully aware of his own opposition. Therefore, managers are best served by understanding what truly motivates (and limits) each employee—i.e. his elements of intrinsic motivation. Only then can managers, through coaching and feedback, impel the employee to change by channeling the levers of extrinsic motivation (rewards, salary raise, fame, recognition, punishment) through one of the employee’s elements of intrinsic motivation. Idea for Impact: Trying to change people will result in frustration and futility. Employees may change for a short time, but unless they have a compelling reason for change, they will go back to their natural state. Managers must temper their expectations about changing employees. As the Buddha taught, one way to lessen disappointment in life is to learn to lower your expectations of others. Inappropriate dressing is one of those workplace concerns that is often ignored or forgotten until it becomes a problem. Revealing clothing can be an all-day distraction while a sloppy or untidy employee can project an unprofessional image about the entire company. Some employees simply don’t get it when it comes to clothing choices for work. Inexperienced employees may walk into their offices wearing miniskirts, low rise jeans, baggy jeans that keep falling off the waist, baseball caps, spaghetti strap tops, low-cut blouses that expose the midriff, sandals, flip-flops, inappropriate tattoos, body piercings, or a three-day stubble. Sadly, managers often avoid talking about inappropriate clothing because the highly sensitive and personal nature of those discussions makes them uncomfortable, especially when the offending employee is of the other gender. Letting the problem fester makes the situation worse: each day the offending employee doesn’t hear an objection only reinforces his/her assumption that the clothing is appropriate and increases the prospect of a defensive reaction when a manager decides to finally address the issue. How to Tell an Employee Who Is Dressed Inappropriately? Dealing with unprofessional dress can be awkward, but it’s crucial to intervene directly, tactfully, and discretely. Begin by having an official company policy on the expected work attire and making employees aware of it. Not only does a dress code set the standards for appropriate clothing, but it also provides a legal basis for addressing a problem without making it an issue of personal judgment. Given the modern-day relaxed rules concerning office attire, try to be specific as possible instead of using vague terms such as “business casual.” One best practice is to include pictures from dress stores for what is appropriate and what is not. Make sure the dress code is consistent with your company and industry’s culture and what your customers expect. Include policies regarding hygiene, personal grooming, tattoos, and piercings. Update the dress code to keep up with the latest professional, social, and fashion trends. Meet the offending employee discretely and ask, “Aaron, are you aware of our dress code?” Then, mention the specific instance of the problem, “Some of your clothes are a bit more provocative than appropriate for our workplace.” State facts and not judgments. Relate any rebuke to a business purpose, viz., the need for a professional workplace or dress-appropriateness in customer-facing roles. Ask the employee how he/she could rectify the matter. If necessary, remind that employees must accommodate the employer, not the other way around. Be sensitive about religious, cultural, and gender-related aspects of office dressing. A male manager who needs to speak to a female employee (or vice versa) should consider having the problem subtly and discretely addressed through another female employee. Consider including another coworker in the conversation as a witness to prevent a discrimination claim. Seek guidance from human resources. If the problem persists, try to converse again but have someone from human resources present. Idea for Impact: A manager can forestall a great deal of employee problems by being proactive about setting expectations. Managers can and should create an appropriate work environment by defining hard boundaries on office etiquette, respectful interaction, and dress codes and then actively addressing concerns before they become problems. Despite deteriorating health, Albert Einstein couldn’t be motivated to quit smoking. His doctor tried but just couldn’t convince Einstein to give it up. 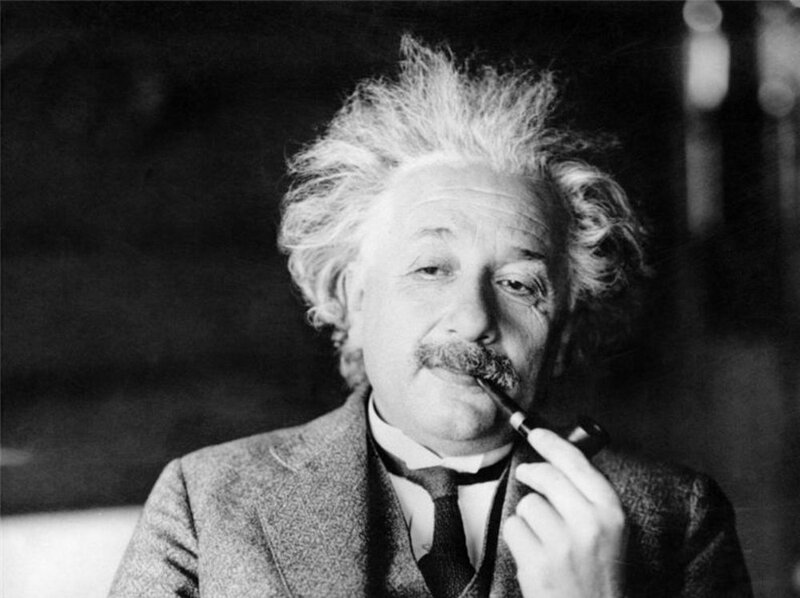 To circumvent the doctor’s effort to stop him from smoking, Einstein would scour his neighborhood’s sidewalks to collect discarded cigarette butts to smoke in his pipe. People are who they are; they have their (intrinsic) motivations and will continue to live their way. Despite well-meaning intentions, you simply can’t change them or mold their minds into your way of thinking. You may be frustrated by their reluctance to mend their ways, stop engaging in destructive behavior, or even realize that they’re throwing away their potential. But you just can’t force change down their throats if they aren’t intrinsically motivated. You can only express your opinions, offer help, and even persist. Beyond that, you can only hope they change. You can control your effort and create the conditions for success. Beyond that, the outcomes of your efforts to change are outside your span of control. Control your efforts, not the outcomes. As I elaborated in a previous article, you will succeed in changing another person’s behavior only if you can translate the extrinsic motivation at your disposal to the elements of his/her intrinsic motivation. You can’t change people; they must want to change for themselves. In other words, they must be intrinsically motivated to change. Extrinsic motivation is, in itself, pointless. Motivation can be activated and manipulated in another person with the effect of altering his/her behavior and achieving shared objectives. 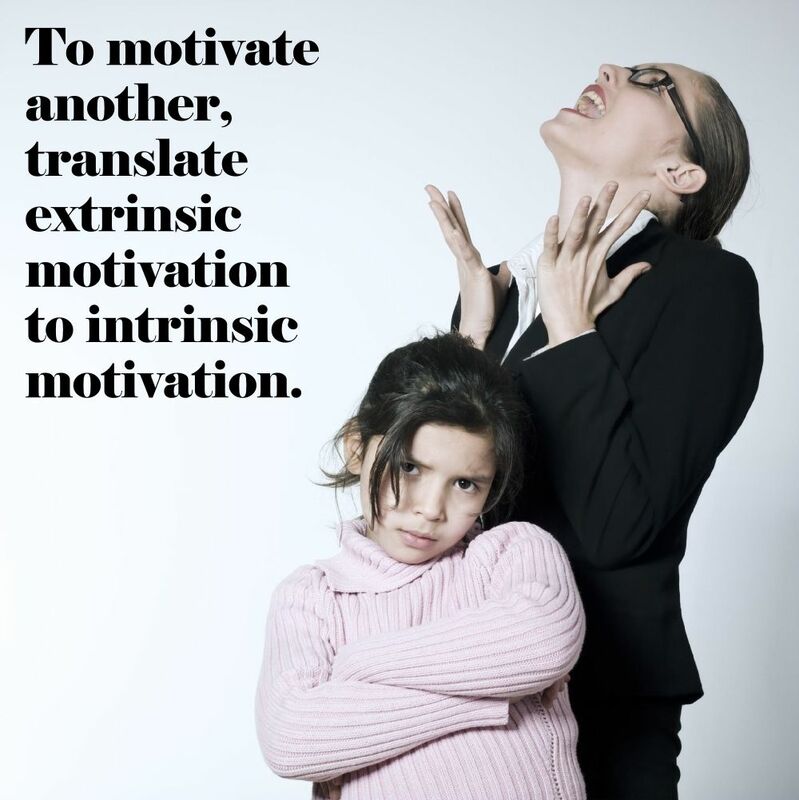 In a previous article, I have elaborated that motivation is derived from incentives (or disincentives) that are founded either externally or internally, through extrinsic or intrinsic motivation. Intrinsic motivations arise from within—for example, doing a task for its own sake. In contrast, extrinsic motivations propel you to seek external rewards or avoid threatened punishments. Try to imagine a chain of purposive behaviors that do not ultimately lead to some intrinsically valued goal. You can’t do it because such a chain has nothing to motivate it and, thus, never occurs. All behavior is motivated by an intrinsically valued goal. Extrinsic motivation is nothing but a trigger for intrinsic motivation. Suppose that I ask you to refrain from smoking for a week in return for a $100 cash reward. Originally, you do not intend to refrain from smoking for a week, even if you acknowledge that smoking is harmful. In other words, you have no intrinsic motivation to refrain from smoking for a week. Therefore, the $100 offer acts as an extrinsic motivator. Upon further analysis, recognize that even though the $100 appears to be an extrinsic motivator, it capitalizes on your intrinsic desire to take the $100 to perhaps enjoy an evening out, take a loved one to dinner, or buy yourself a present. The $100 thus acts on an element of your intrinsic motivation. In ancient China, during the Battle of Julu in 207 BCE, Commander Xiang Yu led 20,000 of his Chu Dynasty troops against the Qin Dynasty. Yu’s troops camped overnight on the banks of the Zhang River. When they woke up the next morning to prepare for their attacks, they were horrified to discover that the boats they had used to get there had been sunk. Not only that, but their cauldrons (cooking pots) had been crushed and all but three days’ worth of rations destroyed. The Chu troops were infuriated when they learned that it was their commander, Yu, who had ordered the destruction of the boats, cauldrons, and supplies. Yu explained to his troops that this maneuver was to motivate them to mount a spirited attack on the enemies. They had no chance to retreat and were thus forced to achieve victory within three days. Otherwise, they would die trapped within the walls of an enemy city without supplies or any chance of escape. 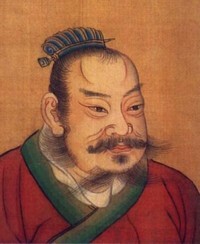 Despite being heavily outnumbered, Yu’s motivated troops defeated the 300,000-strong Qin army and scored a spectacular victory within three days. Xiang Yu cleverly translated extrinsic motivational devices at his command (viz. lack of boats, cauldrons, and supplies) to instigate a powerful intrinsic motivator of survival and success in his troops. When trying to motivate a person who lacks intrinsic motivation for a certain behavior, first understand what truly motivates that person—i.e. his/her other elements of intrinsic motivation. Then translate the levers of extrinsic motivation (rewards, salary raise, fame, recognition, punishment) at your disposal through one of the other’s elements of intrinsic motivation. An article in The Economist (7-Mar-2015 Issue) mentions a new trend in setting and monitoring goals. The “Quantified Work” system lets employees collaborate with each other to set targets for their peers. Apparently, this collegial system has improved performance and transparency at Google, Twitter, Intel, and Kroger, among other organizations. “Quantified Work” is a checks-and-balances system which allows peers to set and monitor goals for each other. This both enforces accountability and ensures that goals are neither too hard nor too easy. Kris Duggan, CEO of BetterWorks, the Silicon Valley startup behind “Quantified Work,” argues, “The traditional once-a-year setting of employee goals and performance review is totally out of date. To really improve performance, goals need to be set more frequently, be more transparent to the rest of the company, and progress towards them measured more often.” Amen to that. Interestingly, the article mentions that achieving 60–70% of the goals thus set is considered normal rather than a failure. The article also cautions that salary raises and bonuses should not be linked to these goals. I deduce that “Quantified Work” is more for collaborative task-and-deadline management than for meaningful employee performance assessment. In my consulting practice, I have tested collaborative task management. It’s not as efficient as it purports to be: employees tend to get carried away and spend more time adding goals and checking performance than doing actual work. Performance Management: What is Forced Ranking? One of the quickest ways to fail in an interview is to ignore, be discourteous, or be disrespectful to receptionists and support staff. Some job candidates believe that they do not need to be at their best behavior in front of support staff, and then “turn it on” for the professionals who will actually interview them. It is a common fallacy to assume that the relative position of a person on the corporate ladder is predicative of how much influence that person has in the organization. Rank, experience, and influence do not always correspond. People with influence are those whose opinions are important — not necessarily because they rank high on the org chart, but because they have acknowledged expertise, experience, or because of their association with people of authority. Job candidates: a condescending attitude could cost you a job offer. Be courteous around everyone you meet and watch what you say. Assume that every person — the receptionists, assistants, and support staff — may have an input into the hiring decision. They will convey their negative perceptions to the hiring managers. A co-worker takes twice as many days off as your company allows. The receptionist is frequently on the phone with her boyfriend. A team member goofs off all the time and never gets his job done. To top it all, your easygoing boss does not seem concerned about all these. Convinced you should tell on others? Thinking of complaining to your HR in the interest of fairness? Do not play the office cop. Because, nobody likes a tattletale. Moreover, it’s is your boss’s job to keep an eye on everybody at your workplace and correct them if necessary, not yours. You have some influence over your peers, but no authority. Hence, you cannot control them. Tattling is a common trait during the formative years of life. 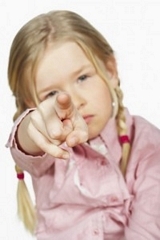 Children tend to feel compelled to notify elders when siblings or other children do something wrong. By taking on a parental responsibility under the guise of being helpful, young tattletales use a socially acceptable way to tell on others and get them in trouble. As children age, they learn to discern between when to keep a secret and when to inform on others. Some never seem to outgrow the need to tattle or gossip and bring these traits to the workplace. A tattletale is usually motivated by selfish reasons. Therefore, examine what is behind your own desire to inform on someone. Are you bothered more by your boss’s laidback attitude rather than the behaviors of your colleagues? Are you trying to draw positive attention to your own righteous adherence to the rules? Is your intention to gain acceptance by management and be seen as a dependable employee? Are you seeking to curry favor with the boss? Or, do you sadistically enjoy having your colleagues punished or embarrassed? A tattletale quickly destroys team morale and brings about increased conflict in the workplace. In successful organizations, team members set high expectations for one another and push each other to work smarter. When you do complain to your boss, you do not want to raise anything that may seem trivial or vindictive. If you observe an incident that might constitute a breach of ethics or is significant enough to affect your team, you have every right to blow the whistle through the established channels even at the risk of being branded a tattletale. The standards of decency require you to talk directly to anybody who offends you before going to your boss. If a peer persistently interferes with your work or sabotages your projects, you should privately warn the offender that if it happens again, you would report it to your boss. Control the impulse to be worked up and tattletale on issues that have little to do with your own work. Let your resentment subside. Be quiet and keep your head down. If someone’s behavior is genuinely in the way getting a job done, wait for a manager or HR to identify and fix the problem. For now, think of ways to ask your lenient boss for some extra time off for yourself. 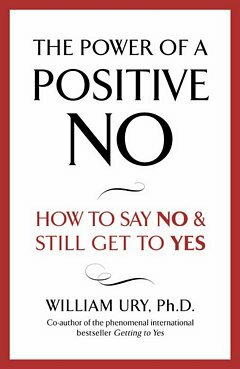 Harvard's negotiation professor William Ury details a simple, yet effective three-step technique for saying 'No' decisively and successfully, without destroying relationships.